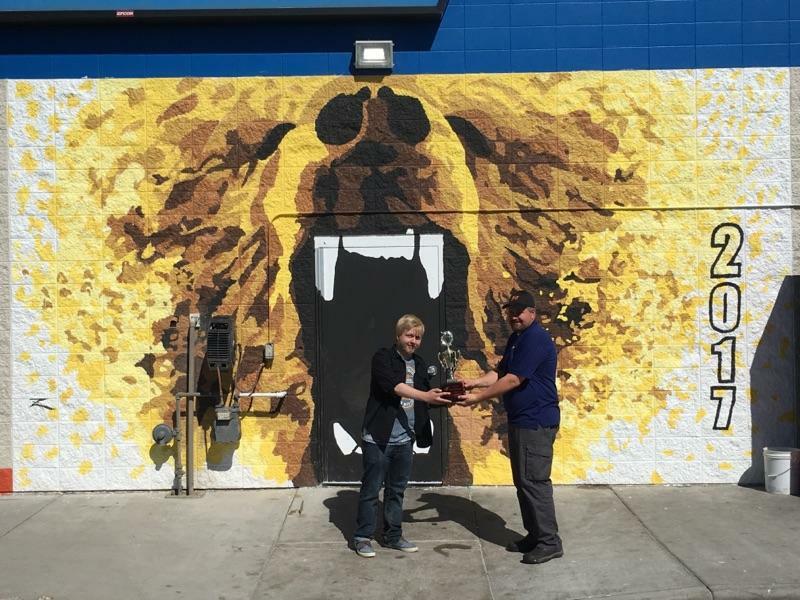 Zach Causey from Billings West High is the winner of this year’s War of the Walls mural competition! Voting was held online over the past week. This year marked the highest number of voters in the contest’s ninth year history. West took the prize with 28% of the votes, Senior High came in 2nd with 25%. Causey will be awarded a traveling trophy and bragging rights for the year. The Golden Bears last win in the mural competition was 2011. When Zach Causey, 18, described the design he painted on the wall at the MasterLube store on King Avenue, he said, “It’s pretty simple,” but one look at the mural reveals a design that’s anything but ordinary. 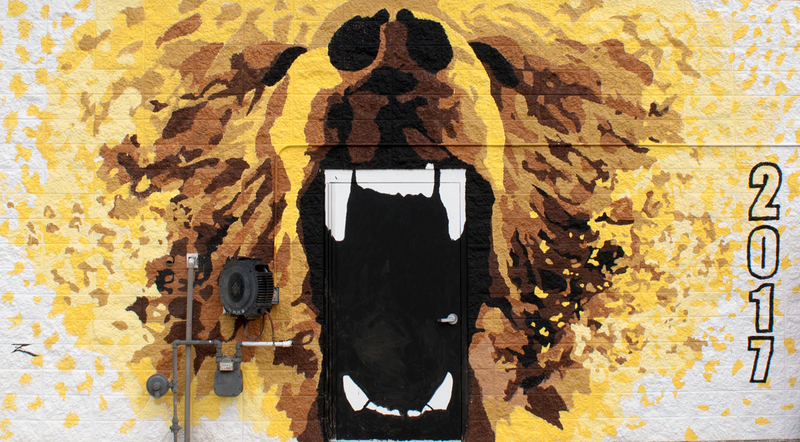 The image of the roaring bear, West High School’s mascot, is realistic in the center, but falls away into an abstract form at the edges. The image is painted in shades of gold and brown, the school’s colors. Zach created the image digitally on a computer without ever putting pencil to paper. When it came time to lay the paint on the wall, Zach called a few close friends and used a projector at night to cast the design onto the wall. This fall, Zach is planning on attending the Art Center in Pasadena, California, which is one of the top schools for industrial design and commercial art. He’s not sure what his focus will be, but he has an interest in games and animation. 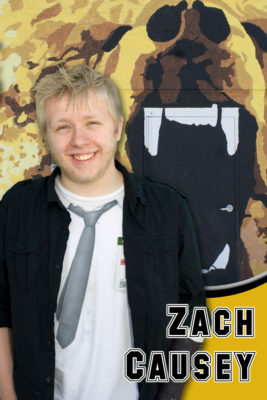 Zach said his parents, Adrian Causey and Jamie Whisneant, and art teachers were always an inspiration, and they encouraged him to stay focused on his passion, even when it wasn’t easy. His advice to younger artists follows the advice he received. “Keep going even when it gets frustrating because pushing through that frustration is part of art,” he said. Throughout the halls of Senior High, in every school assembly, and at sporting events, you’ll hear the phrase, “We are bronc nation.” It’s a motto that’s created unity at the school for years, and when Taylor Contreraz, 18, began sketching out her design for the Senior High mural on the MasterLube store on Grand Avenue, she was sure she wanted to include, “We are bronc nation.” She also relied on images of the school’s mascot, a white bronco, and the iconic horseshoe, which can also be seen throughout the school. “I tried to fit as much together as I could that I thought represented Senior High,” Taylor said. Taylor has been drawing since she was small, inspired by her father and older brothers, who all shared a talent for drawing. She’s taken numerous art classes throughout high school, but this semester – her last at Senior High – she’s taking her first painting class. The techniques she learned in class came in handy when it came time to paint the mural. In addition to her interest in art, Taylor also has a love for dance. She teaches hip-hop and jazz, and along with her father, Gregory, mother Rebecca, and her seven brothers and two sisters, she performs in a Mexican dance group that her grandfather started. 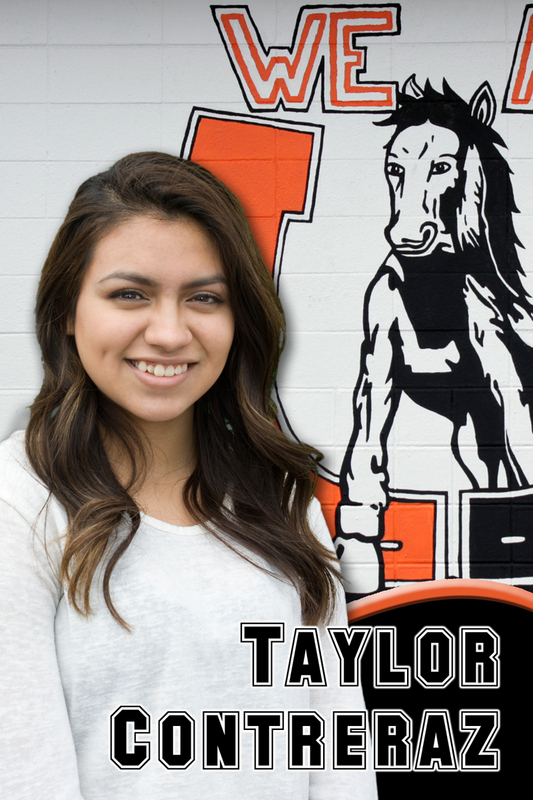 After graduation, Taylor plans to pursue a career as a stylist and has enrolled in Bold Beauty Academy. She’s always up for trying something new, especially if it allows her to use her creativity. “My mother always told me to try something and if you like it, keep doing it,” Taylor said. 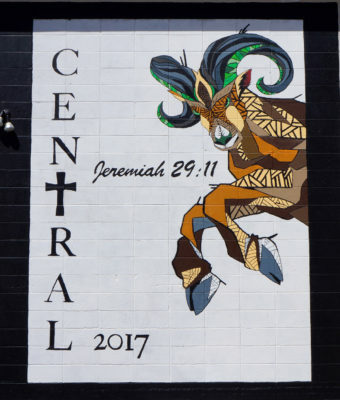 At the beginning of her sophomore year, Katie Kuhler, 18, knew she wanted to paint the mural for Central High when she was a senior. She had a few ideas over the years, but didn’t put her pencil to paper until a few months ago. The result is striking. Her artwork on the wall of the downtown MasterLube store is a display of her passion for geometric design, and her love for Central High. Katie’s basic design was chosen by the senior students from among several entries, but it was improved upon by several other artists at the school, who added their unique touches and helped Katie lay the paint on the wall. “It was really fun. All the people who love art at Central were there,” Katie said. 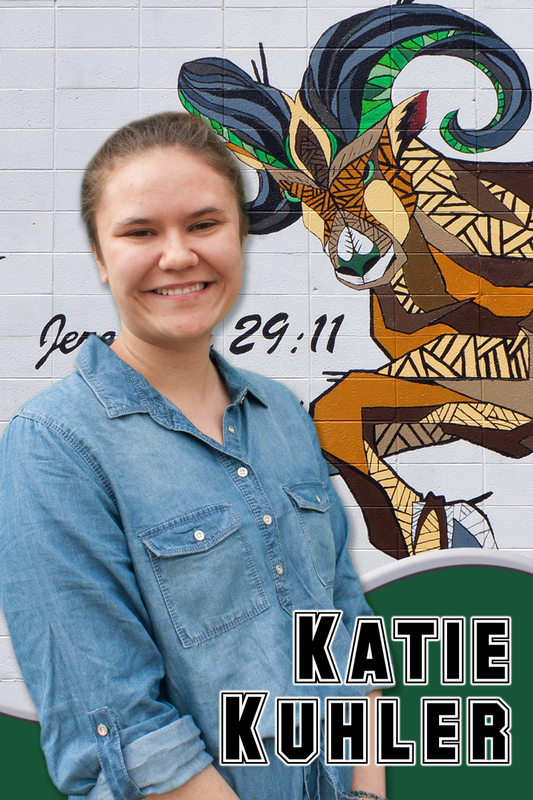 Katie has long been interested in art, but chose to pursue other electives in high school, including orchestra. 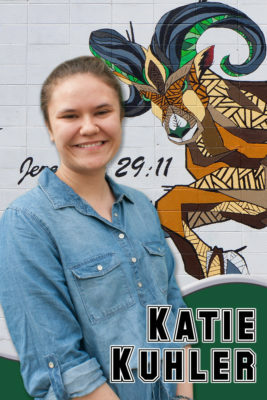 She has been an active member of the school’s art club where she’s found an outlet for her creativity and a community of young artists. Her favorite medium is duct tape. Katie and her parents, Ron and Jill Kuhler, will soon be moving to Texas, so she plans on taking a year between graduation and college to establish residency in Texas. She’s passionate about math and science, so the break will offer her time to consider what career she would like to pursue. When Sophia Salisbury, 17, started the design process for the War of the Walls mural, she spent hours looking at photos of falcons. The falcon is Skyview’s mascot, and she knew she wanted to feature a falcon in her design. 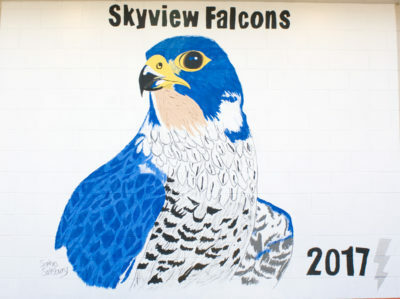 She took a realistic approach to the painting, with one exception – the color of the her falcon is in Skyview’s school colors, blue and silver. Sophia has been painting and drawing since she was small, and her family has always been supportive of her creative endeavors. 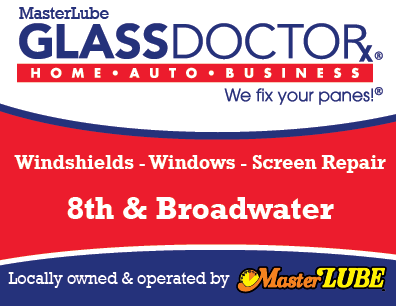 In fact, they helped her paint the mural on the wall of the MasterLube store on Main Street last month. “It was fun, and a learning experience because I’ve never painted anything that big,” Sophia said. The mural allowed Sophia to immerse herself in painting, but she prefers colored pencil and a sketchbook most of the time. Sophia’s passion for art was sparked at an early age when her parents, Shane and Ann Salisbury, brought her to the Yellowstone Art Museum for its children’s art programs, held on Saturdays throughout the summer. 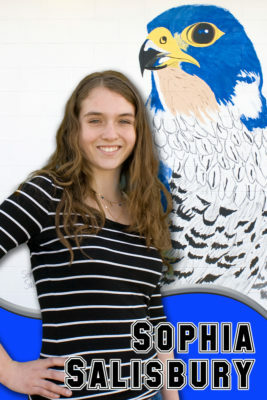 Sophia also finds an outlet for her creativity in photography and music. She’s played the violin since the fifth grade, and enjoys playing at St. Bernard’s Catholic Church during the holidays. She also teaches children’s faith formation classes at the church. After graduation, Sophia is planning on attending Montana State University Billings. She said she isn’t sure what she wants to do for a career, so she’s taking general studies courses while she decides. No matter where her life takes her, art will always be something she enjoys. When Kasey Mook, 18, transferred to Laurel High School her sophomore year, one of the first things she heard was “graduation matters” and she’s heard the phrase at least a thousand times since then. 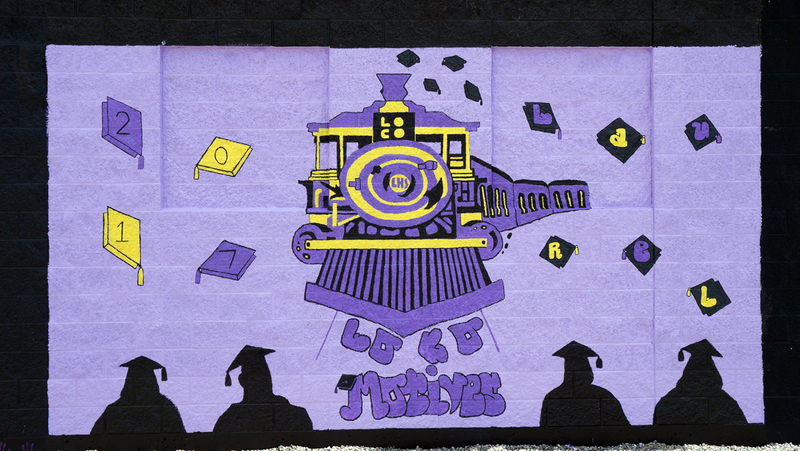 It’s the school’s motto, and seeing students make it to graduation is the singular focus of the staff at the school, so when Kasey sat down to sketch out her entry for the mural contest, she knew she wanted “graduation matters” included in the design. 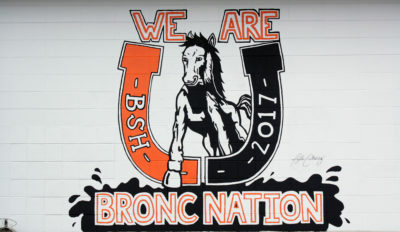 Her design includes a locomotive, the school’s mascot, as well as the school’s colors. She integrated graduation caps into the design as well, which sets it apart from previous years’ designs. Kasey has been drawing since she was young, and still enjoys drawing. Her favorite medium is charcoal, and she uses it to draw portraits. “When I first took up charcoal I liked how I could make things look so realistic,” she said. 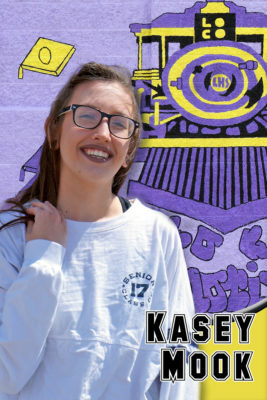 Throughout high school Kasey has fueled her creative passion by taking two or three art classes a year, and was always encouraged by her parents, Michael and Freda Mook. This year, her senior year, she is taking Advanced Placement (AP) art, which will provide her with college credit. 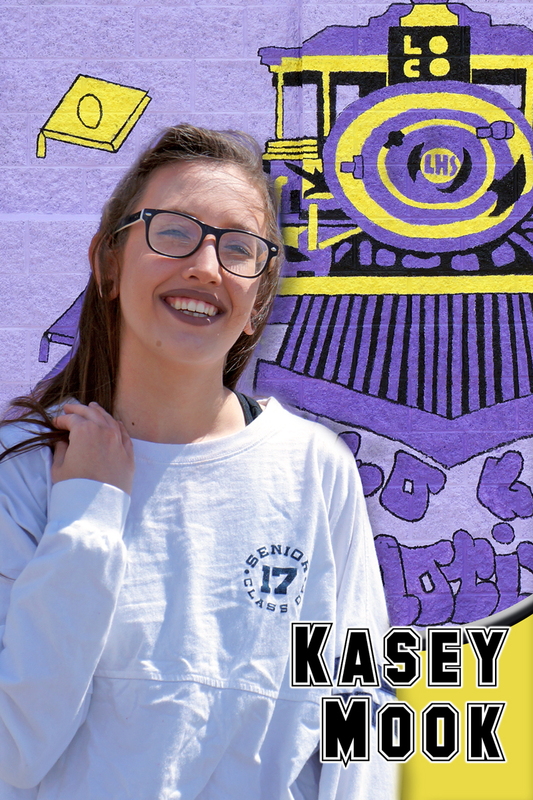 It’s a head start on college art classes, but what’s more exciting for Kasey, is that it’s allowed her to choose a portfolio and decide her own direction in art studies. The theme for her portfolio is the “Swinging 60s and Super 70s.” The color and movement from that era is inspiring, she said. Kasey is interested in veterinary medicine, and plans to work at the Animal Lodge in Laurel this summer.